Forgotten Hollywood » Blog Archive » “Forgotten Hollywood”- LA County Library Additions! “Forgotten Hollywood”- LA County Library Additions! 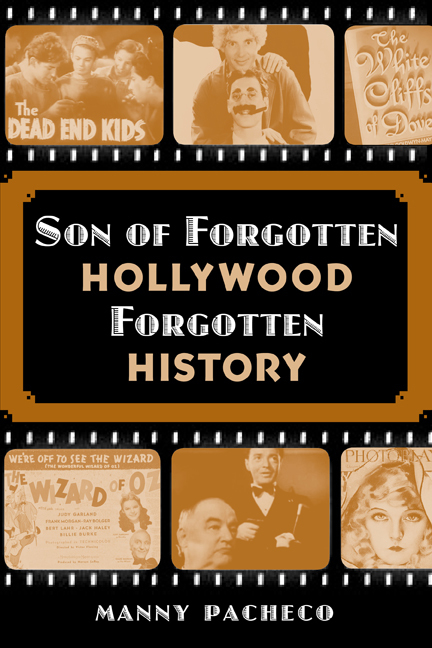 Ten branches of the County of Los Angeles Public Library system have just ordered copies of my new work, Son of Forgotten Hollywood Forgotten History. The County of Los Angeles Library System is second only to the San Francisco Library System that carries the Forgotten Hollywood Book Series. This is indeed exciting news! 91 nationwide branches now house the literary series; while 29 libraries all over the country have added Son of Forgotten Hollywood Forgotten History to their shelves. This entry was posted on Friday, April 6th, 2012 at 1:03 am	and is filed under Blog by Manny Pacheco. You can follow any comments to this post through the RSS 2.0 feed. Responses are currently closed, but you can trackback from your own site.